One million leftist women marched in cities across the US on Saturday in protest to President Donald Trump. The protests for “women’s rights” was organized by Linda Sarsour, a pro-Sharia Law Islamist with ties to Hamas. 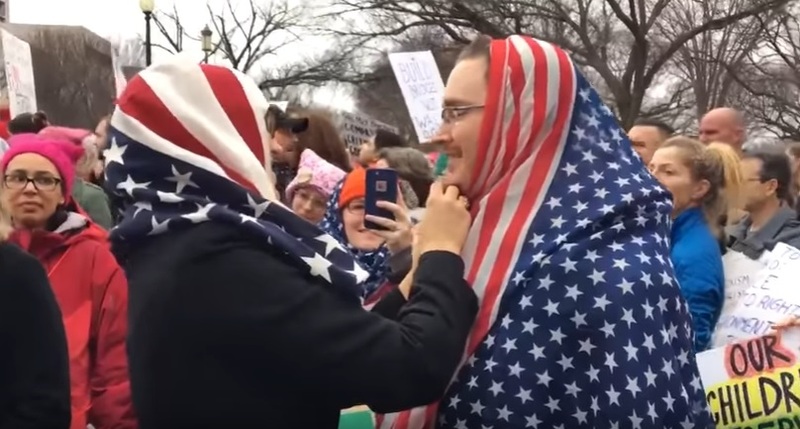 During the march the Islamists and leftists used US flags to shape into Islamic veils. Even dudes were putting them on. The protesters thought this was a beautiful expression of freedom. Obviously the leftists are clueless on the oppression of women under Islamic law.